Naengmyun – supposedly the best but no refreshing kick and an overload of bibim sauce. 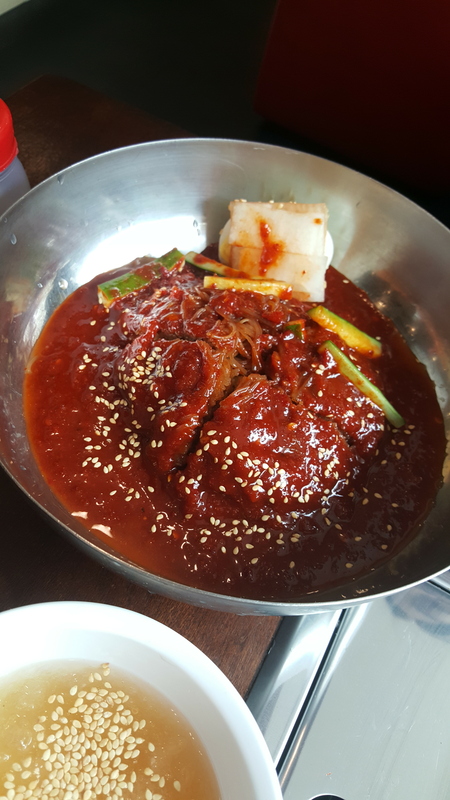 I think they are better known for the mul naengmyun than the bibim naengmyun. We tried another version but that didn’t even come with the side cold soup. My mouth is watering as I’m thinking about that tangy vinegarish taste in the clear cold soup. Posted on May 14, 2017 June 3, 2017 by hweiPosted in foodTagged naengmyun.